There is a Process to what we will do together no matter what our project is. It is important you understand this and read through. The Form Submissions are very important to help me grasp where you are and where we want you to be. Note: I do not write your content. Please do not hesitate to ask questions before we begin! Depending on our project, we will begin with a solid one on one phone consult. By the time you purchase any kind of project from me, we have already had some solid conversations on what you are wanting. That combined with the intake forms, gives me a lot to be ready for. You’ll send me links to sites you love, and sites you don’t. Telling me why? The colors, a color, a font type, a layout, a ‘feel’, a feature. I always say to think in adjectives. Are you drawn to script typography or tailored and sleek? Love bright colors? Warm? Soothing? Vintage? Retro? Elegant? Simple? Funky? Fun? Those same adjectives above can be used for the actual ‘feel’ of your site. Seeing a video at the top of your site, or flipping in features that you see your brand using? Do a Google search and see your competitors. What do you love, hate about their sites? It’s important to remember it is not just about what you like, it is about what your audience will like. Who are they? What will they respond to? It certainly might not be the neon green you love in your office. I will be your sounding board. Some like to use Pinterest to gather a private board that we share. Pinning things for me to see. Nothing we gather is about copying someone else’s work. We generate our own ideas. But it is in seeing elements you like and dislike that we can start to build a foundation. Others do not want to go near Pinterest. 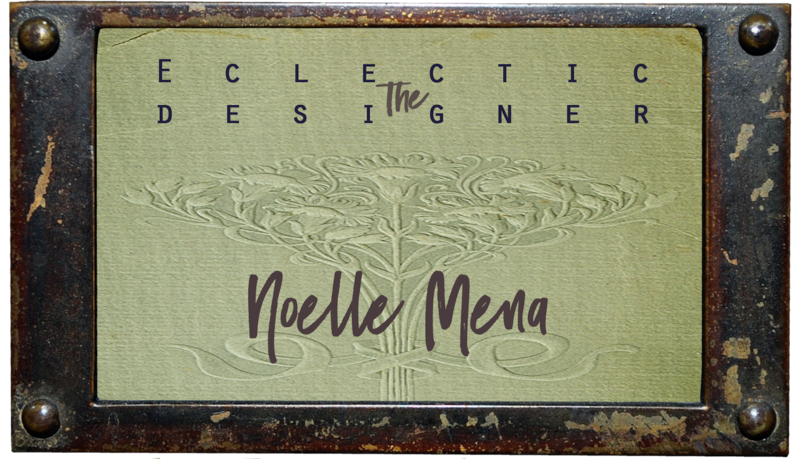 I call myself The Eclectic Designer because of the wide array of clients I work with and the design I deliver for them. I put no one in a box here and will not be put in one myself. I will get a feel for what works for you and we will be on our way. I take your content and optimize it through design. If I do not have your content/copy, how can I do that effectively?? Your Content is as important as your design. Take the time while you wait in my queue to outline out your pages and what you want on them. Designing graphics, especially for the core of your branding is what will take the longest. But again, to design to reach your audience, I need to see what it is you are wanting to communicate to them. Once we have content in hand along with what we have put together to be your color palette, typography, logo and design elements we will head down the road of the actual design layout of the site and watch it all come to life. This of course is to give you an idea of the process. Please know, I work very closely with all of my clients. I enjoy this process and challenge, every, single, time! I work hard for you to enjoy it as well. It’s a lot of time, energy and money you are investing. It’s important to set aside the time to dedicate to our project. The time while you prepare in my queue and the time we spend together. Get that calendar reserved. Don’t just work it in. I have done many sites in a weekend. Yes, a weekend. They pay for a rush job like that, but they come knowing what they want and the content to design from. They are ALL IN for those 48 hours and so am I. There is just no reason on a regular schedule that we cannot get you on the site of your dreams. It takes both of us. Upon Completion, I hope you will read & sign up to be on Maintenance Maintenance.